(*If your bulk buying, the policy is not the same for you. Bulk Buying is when several pieces of the same item or like items are purchased for trying on/use purposes to return, please see the policy*). For example, buying 4 tiaras to see which one fits best or 3 cathedral veils in 3 colors to try on with your dress, we will accept back one item and not all in this case. We don't have try on services for merchandise and only sell new merchandise. Thanks in advance. We offer FREE US Shipping on most over $35 and several FLAT RATE Shipping rates at checkout in addition to UPS rates. Any Free Shipping offer is standard USPS Mail with tracking. Your responsible for requesting insurance to insure your package against any damage or loss. Free shipping is 2-7 business days to arrive to you, after processing time. Upgraded shipping options are available at checkout and at your expense. Note - Upgrading your shipping to overnight, does not mean your merchandise ships to you that next day. If you choose overnight shipping. your items will ship once the processing times has passed or sooner, and the shipping method would be overnight. Every item has a processing time, if your unsure, please ask. **Keep in mind the upcoming holidays and delays/closures can occur with Christmas out of our control. We do ship international and rates are available at checkout, if you require a quote for Postal Rates, please email your full address and what your purchasing for rates. When purchasing products outside of your country, you may be subject to import duties and taxes, which are levied once a shipment reaches your country. Any import duties, taxes or brokerage fees due at the time of delivery are the sole responsibility of the receiving customer. The shipping fee you prepay us is only for shipping from us to you and DOES NOT include custom, duties or your countries taxes. Rush order simply means that Bella Mera Bridal/Manufacturer/Designer cuts or produces your product/order sooner than the normal production or processing time in a much faster time frame. Processing time does not include shipping transit time. If you pay for a 2 week rush and 2 day UPS that would mean, we ship it out within 2 weeks and the method will be 2 day UPS. Rush is a service that is optional and shipping is for freight costs only. When you pay for Rush that DOES NOT include shipping fees. 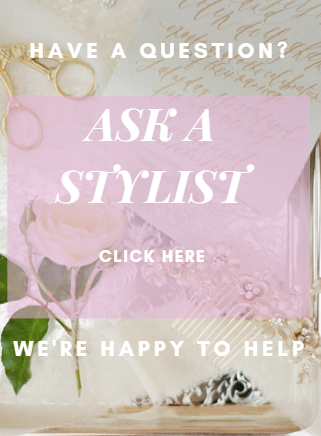 Most bridesmaids are custom made for you within the time frame shown on your product, please add rush to your cart if you require the designer make your dress sooner. All rush fees are non-refundable and orders cannot be changed or cancelled. It is always best to have an alterations expert, seamstress or someone else take your measurements using a soft cloth measuring tape. It is not good to pull the measuring tape tight, instead make sure that it loose by at least one finger, this will ensure the best fit for you. Remember for a perfect fit, most dresses will need to be altered such as bust, taking in the sides and hem line. Length is very important because it is very difficult to extend the length, unless there is extra fabric tacked down. If you are 5"7-5"8 & over, be sure to order extra length unless you know for sure the standard length will work. When your package is ready to be shipped to you. You will receive an order status message and your online account will be changed to "shipping in 1-3 days". This indicates your merchandise will ship within 1-3 days after that. When it has shipped, you will get another message with the tracking number and you can log in to see the tracking number once you have been notified it's been shipped. If you received your shipped email, it was located inside that email. In Store Pick up is available on any order $499+ with the same processing times listed online. When you place an order, the order is non-cancellable or changeable. We process orders as they come in and submit orders asap to manufactures for special orders. 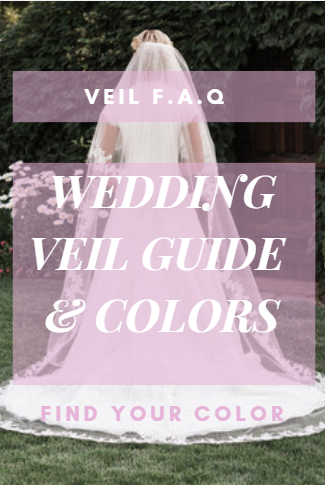 If you have more questions, before placing an order, please feel free to contact us via at Support@BellaMeraBridal.com, phone or live chat.